In slow cooker, layer 1/2 of potatoes, onion, sausage, salt, and pepper. Repeat layering. Add water and butter. Cover. Cook on low 10 hours. Add milk. Mix well and serve. Makes 6 to 8 servings. In stockpot, add potatoes, onion, and water. Bring to a boil, over medium high heat. Reduce heat to medium low, cook 30 minutes. Add sausage, salt, and pepper, and butter, cook 20 minutes, or until potatoes are tender. Add milk. This is my husband's favorite soup! Before we created this recipe, the only place we could have it was in a restaurant that was 3 hours away. One night at the restaurant as we were playing our favorite game, "How is This Dish Made," my husband said, "I think I can make this!" And we did! After a little tweaking, the flavor was a perfect match for the restaurant version. The soup is comfort food jazzed up a little. The sausage makes this soup extra hearty and adds an extra layer of flavor to the soup. 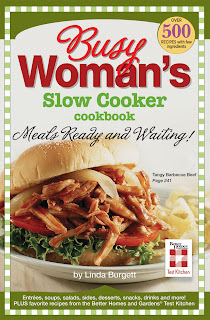 BUSY WOMAN'S SLOW COOKER COOKBOOK. The publicity campaign for my cookbook has started. 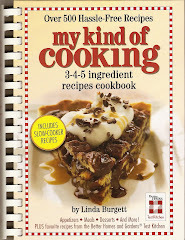 I want to say a special thank you to, Ashley, of What Does A Songbird Sing, for posting my Chimichangas recipe from the first cookbook I wrote, called Mild to Wild Mexican Cookbook. 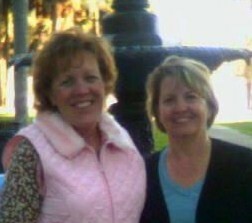 My sister-in-law, JeriLyn, has a fun blog, www.jerisspot.blogspot.com, and on it she mentioned my Lemon Over Chicken recipe. Thanks JeriLyn, for all of your support and encouragement! Also, Debbie, from Dining With Debbie, posted a link back to my post about Adapting Your Recipes to the Slow Cooker. 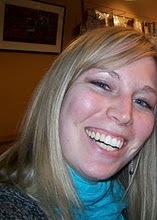 She hosts Crock Pot Wednesdays on her blog and has some fabulous recipes and great links to other blogs. Please check out their blogs and also stop by my friends, Bo and Pam's blogs too! On February 4th, I will be doing two drawings! Have you ever wondered, how many apples you needed to make 1 cup of diced apples? I have, and this simple guide helps me figure out how much of an ingredient I need. I keep a copy of the list in my wallet, so I always have it with me when I am shopping at the grocery store. My friend, Ashley, has just started blogging. On her blog, What Does A Songbird Sing?, she wrote a post about my, Lemon Over Chicken recipe. Ashley is a newlywed, who loves to cook. and do yoga, so far she hasn't done them at the same time. Please stop by her wonderful blog and sign up to follow her! Another friend of mine, my cousin, Diane, wrote a post for her blog, Modern Grandmas, featuring my "How long do ingredients keep?" You don't have to be a grandmother to enjoy their blog. It is a funny and well written blog, that I am sure you will want to read over and over again. Please check it out! Cut chicken into bite size pieces and place in greased slow cooker. In small bowl, combine dressing, preserves, and onion soup mix. Pour mixture over chicken. Cover. Cook on low 3 hours. Add pineapple to slow cooker. Cook uncovered 1/2 hour. Serve over rice. Makes 8 servings. This recipe is from my cookbook, MY KIND OF COOKING. When this was entered in one of our Slow Cooker Recipe Contests,years ago, it was unanimously chosen as the first place winner. I love Chinese food, so for me it had an edge over the other dishes entered. Typically, the chicken in, Sweet n' Sour Chicken, is deep fried, and then covered in the Sweet n' Sour sauce. In this version, the chicken is not deep fried, but it is so full of flavor you will not miss it. We have two new additions to our family! Manki and Mine, are two foreign exchange students who attend a local high school. We first met Manki and Mine, when a girl in our youth group, brought them to church. Manki (from Hong Kong), my husband Stan, and Mine (from Bangkok). When Manki and Mine attended the Christmas party at our house, they told us that they were very unhappy at the home they were staying at, and asked if they could move in with us. On Sunday, they made the move, and now are part of our family. We are so happy to have these incredible girls staying with us! Sweet n' Sour Chicken, was the first dinner I cooked for Manki and Mine. As it was cooking, the girls said it smelled just like a dish they eat at home. Apparently they liked the meal, because they went back for seconds. How long do ingredients keep? I either over purchased ingredients to bake goodies at Christmas, or I under baked. Maybe it was a combination of the two, but whatever the reason is I have a lot of extra ingredients leftover. To have the best results when baking, it is recommended that ingredients are used within the guidelines listed below. Flour: Opened; 6 to 8 months. Unopened; 12 months. Sugar: Doesn't spoil, but may change flavor with age. Brown sugar: Unopened; 4 months. Confectioner's sugar: Unopened; 18 months. Baking Soda: Opened; 6 months. Unopened; 18 months. Baking powder: Opened; 3 months. Unopened; 6 months. Solid Shortening: Opened; 3 months. Unopened; 8 months. Semi-Sweet Chocolate Chips: Best if used before 18 to 24 months after the date of purchase. Sweet n' Sour Chicken recipe. In slow cooker, place chicken. Squeeze half of lemon over chicken. Sprinkle lemon pepper and paprika over chicken. Slice remaining lemon and arrange over chicken. Cover. Cook on low 6 to 8 hours. Makes 4 servings. I love using my slow cooker! Especially when the recipe only takes a few minutes to prepare, like this one does. This recipe is from my newest book, BUSY WOMAN'S SLOW COOKER COOKBOOK. The chicken is tender and juicy, with a delicious tang from the lemon. It is low in fat and calories. Whether you are trying to lose a little weight or not, I know you will enjoy this recipe! Have you ever had a recipe that you wished you could put in the Slow Cooker? With theses tips, you can adapt most recipes to the slow cooker for hassle-free cooking. My mother, Sharon McFall, is a National Best Selling Cookbook Author. She researched and wrote the Time Guide and tips below. I liked what she did so much, I included them in my newest cookbook, BUSY WOMAN'S SLOW COOKER COOKBOOK. Thanks, Mom! Tip 1. Cooking time in all recipes are approximations, affected by how much food is in the cooker, humidity, and the temperature of the ingredients when you add them. So note that the cooking times in the recipes are ranges only. Tip 2. Fill the cooker between half and two-thirds full. Tip 3. Cut vegetables in smaller pieces to ensure proper cooking. Tip 4. Meats will not brown in a Slow Cooker. If a recipe calls for meat to be browned, brown it in a skillet. The recipe will be better because it will enhance the flavor and decrease the fat. Tip 5. Do not add as much water as regular recipes indicate. Use about half the recommended amount, unless it calls for rice or pasta. Liquids don't boil away as in conventional cooking. Tip 6. If recipe calls for raw rice, add 1/4 cup extra liquid per 1/4 cup raw rice. Tip 7. Processed cheeses tend to work better in Slow Cookers than natural cheeses. Tip 8. Juices can be thickened by adding corn starch during the last hour of cooking. Turn the heat to high. Tip 9. It is best to add ground seasoning near the end of cooking. Tip 10. Add vegetables to cooker first, then add meat. Vegetables cook slower than meat. Tip 11. 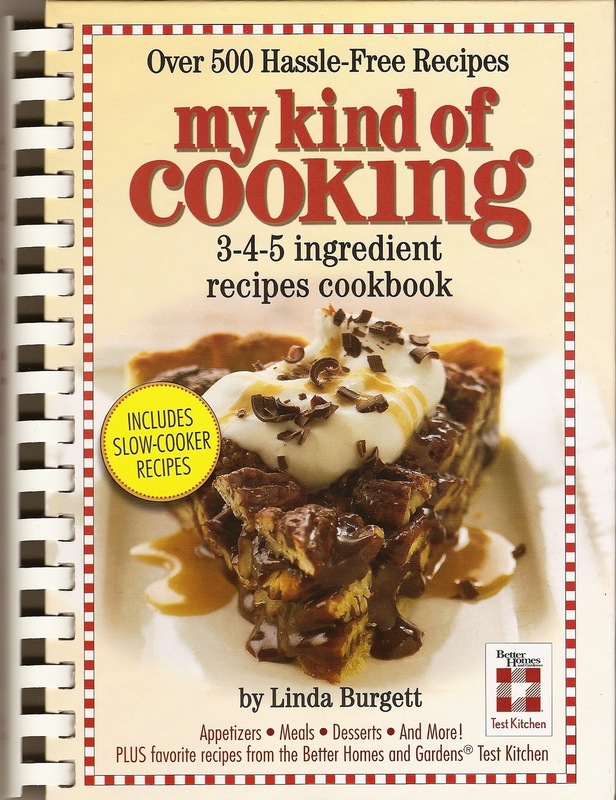 In the last hour of cooking it is better to add milk, sour cream, or cream to the recipe. Dairy products tend to curdle over long cooking periods. Condensed cream of soup or evaporated milk can be substituted in some recipes. In large bowl, combine all ingredients. Salt and pepper to taste. Mix well. Shape into 4 patties. Grill or fry until completely cooked through. Makes 4 servings. It is a new year, so it is time to make resolutions to eat healthier and loose a few pounds. Which means for a week or two we will try to be good, but then the Super Bowl will roll around, and we will be back to our old habits. This may be a healthier burger to serve than the typical burger with cheese, but trust me, it is so tasty you won't notice that this burger is better for you. The chopped apple in this recipe, keeps the burger juicy, and the Tabasco, gives it just a hint of heat. I like to serve my Turkey Burgers with grilled pineapple, on a toasted whole wheat bun. Clean your contact grill the easy way; after you finish grilling up a tasty meal, while the grill is still hot, unplug the grill, and place several damp paper towels on the grill then close the lid. While you eat, the steam from the wet paper towels will loosen baked on food. The next drawing is, this Friday, January 7th. "Like" my new Facebook page and get a third entry!